This is country living on the edge of town! 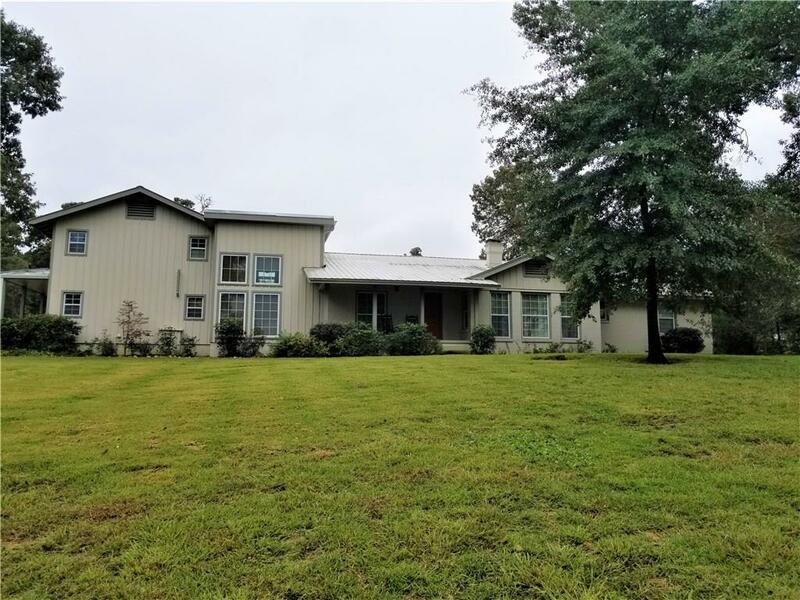 Situated just outside city limits, this 3bd/ 3.1 ba home is on 7.12 acres. Have you ever wanted horses? This can handle that! With a barn and fenced acreage, and a pond on the rear of the property, you can have it all! Do you enjoy outdoor entertaining? Come enjoy the covered back porch with the pool, and the built in grill. This home features stainless appliances, a formal living room, and dining room with an additional den great for large gatherings. The upstairs features a library area, and the bedroom is massive with it's own walk-in closet, as well as two individual closets flanking the windows. The master has a walk-in closet, as well as a double reach in closet. With a double sink vanity, you don't have to worry about not having enough space. Do you like the convenience of running to the store in 5 minutes, but want to enjoy the quiet country? This house is DEFINITELY FOR YOU! Call today to make an appointment. Directions: From Hwy 167, Turn Onto Hwy 84 (At The McDonald's Intersection) Go About 1 Mile And Turn Left Onto Country Club Rd. House Is Directly On Your Right. © 2019 Natchitoches Board of REALTORS All rights reserved. Information deemed to be reliable but not guaranteed. The data relating to real estate for sale on this website comes in part from the Broker Reciprocitysm Program. Real estate listings held by brokerage firms other than Straughan Real Estate are marked with the BR logo and detailed information about them includes the name of the listing brokers. Listing broker has attempted to offer accurate data, but buyers are advised to confirm all items. Information last updated on 2019-04-25.